Sir Richard Grenville | Cornwall For Ever! Sir Richard Grenville was a military leader during the Civil War. He recruited Britain’s first professional soldiers who were loyal and well trained. He understood Cornish people and tried to gain independence for Cornwall. Sir Richard Grenville o ledyer kasorek dres an Vresel Civil. Ev a arvetha kynsa soudoryon alwesik Breten o lel ha dyskys yn ta. 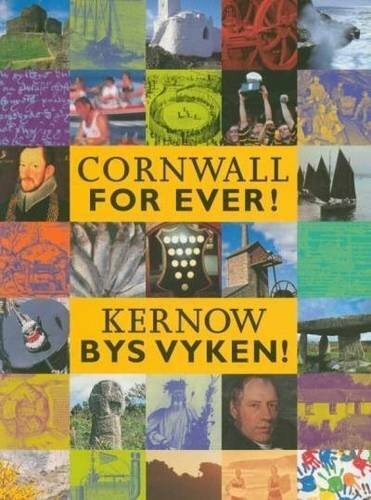 Ev a gonvedhi Kernowyon hag assaya kavos anserghogeth rag Kernow. Sir Richard was born in Kilkhampton, north Cornwall, in 1600. He was the younger brother of Sir Bevil Grenville, another famous army leader. At the age of 20, Sir Richard went abroad to be a soldier. After returning, he became Member of Parliament for Fowey in 1628. In the same year, he married Mary Howard and they later had two children, Richard and Elizabeth. Their marriage was not a happy one and when Sir Richard separated from his wife, he was left with very little money. In 1633, Sir Richard went abroad to serve as a soldier once again. The experience he had fighting overseas would be very useful during the Civil War. In 1642, Sir Richard was sent to Ireland to stop an uprising. His treatment of the Irish people was very cruel and he became known as a skilled but heartless soldier. When Civil War broke out, Sir Richard joined the Parliamentarian army. However, he very quickly changed sides to become a Royalist. This angered the Parliamentarian army, and they called Sir Richard ‘skellum’, which means scoundrel or devil. King Charles I made Sir Richard his ‘General in the West’. Sir Richard’s skill as a military leader helped him to win the Battle of Lostwithiel in 1644. He was also very successful at recruiting soldiers in Cornwall. His new regiments of Cornish infantry (soldiers who fought on foot) were Britain’s first professional soldiers. Sir Richard’s Cornish troops liked him very much because he was a strict but talented leader. They also liked him because he was a Cornishman who cared about Cornwall and its people. By 1645, the Royalist army was losing the Civil War. Sir Richard suggested a plan to the Duke of Cornwall (who later became King Charles II) that Cornwall should stop fighting and govern itself. The plan was not accepted, so Sir Richard resigned from the army. He was arrested for refusing to obey orders and was made a prisoner in St Michael’s Mount. He later escaped to Brittany. Sir Richard died in 1659 in Ghent in Belgium. It’s possible to learn more about him from an account he wrote of his time during the Civil War. He is also a main character in Daphne du Maurier’s novel The King’s General.